03/12/19 - Dr. Jack Stockwell - A Banana A Day...Good Or Bad For You? 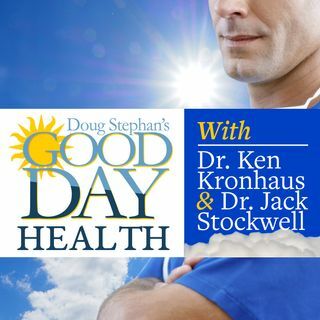 Host Doug Stephan and Dr. Jack Stockwell www.forbiddendoctor.com sing the many praises of the Supplement Tumeric and what to look for in selecting a brand. Next, a discussion of Potassium an whether a banana a day is the best way to get it. How do you feel about Robots performing surgery in the OR? Then they discuss the miracle of Broken Bones and a caution about snow removal and Stroke. Plus, lots more information about maintaining your Good Health.